Hello all, time for an intro. My name is Britt Schmiesing. I am an artist, a knitter, a crocheter and just a maker in general. These days most of my yarn design work is for Annie's Publishing company (AnniesCraftStore.com, AnniesSignatureDesigns.com and AnniesCreativeStudio.com). I still manage to squeeze in a few independent designs here and there. 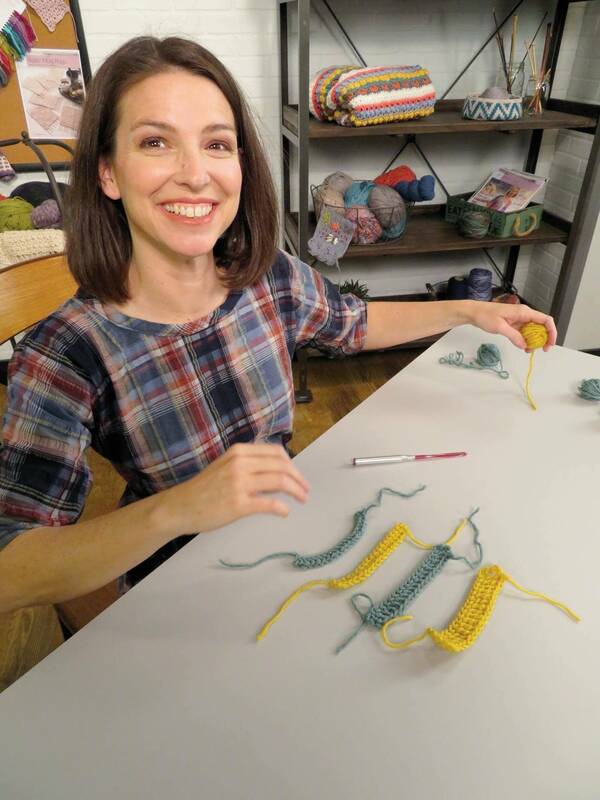 I will also be on season 10 of Knit and Crochet Now! TV show on PBS and Create TV. Hope you all tune in. I live in rural Indiana with my husband and 2 boys. I have been drawing since I was 9, knitting since 2005 and crocheting since 2015. I love to spend my free time working on a project (I have to keep my hands busy!) or hanging with my family. I am very much a home body! I love sci fi audiobooks and action/super hero type movies!! I look forward to chatting with you all now and then about fun stuff! Hi Britt! I love crocheting too!